WASHINGTON — The political rhetoric is looking more like reality. Automakers and suppliers are starting to envision a world without the North American Free Trade Agreement amid growing signs the Trump administration is determined to gut the 23-year-old deal, which has integrated the United States, Canadian and Mexican economies, and made the regional auto industry globally competitive. Going into the fourth round of negotiations last week, U.S. negotiators adopted hard-line positions that are anathema to their trading partners and the auto industry. Chief among them: a call for stricter rules governing the amount of regional content required for products to cross borders duty-free and the way tariffs are calculated for components coming from outside the region. The tough stance rapidly heightened concern in the auto industry and the broader business community that talks to renegotiate NAFTA could fall apart, allowing President Donald Trump to begin unwinding the accord. 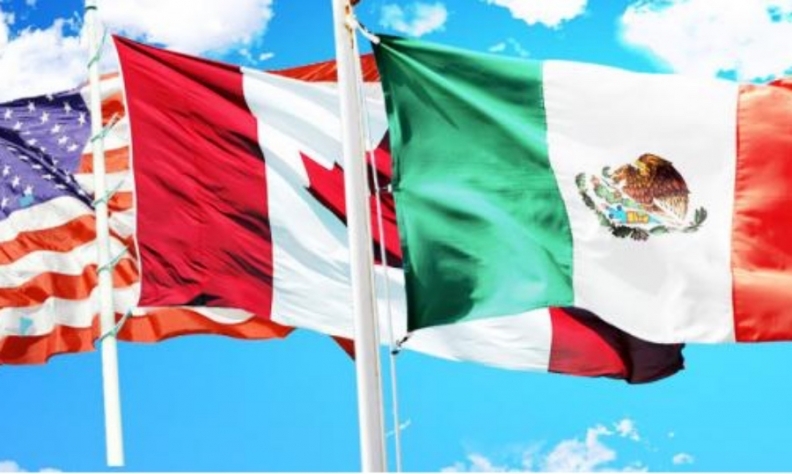 Given the pitched negotiating positions, it would take a humiliating capitulation by Mexico, Canada or the United States to keep the agreement alive in anything close to its current form. that operate at suboptimal levels and increase the cost of making vehicles. Industry officials say they will eventually adapt, but they will do so in ways that protect their bottom lines rather than U.S. jobs and Trump’s political fortunes. No longer will automakers feel compelled to placate the president with promises to shift production and investment to the United States in hopes of staving off tariffs or benefiting from business tax cuts and deregulation. Industry leaders say they will still serve U.S. customers, but without much incentive to invest in United States or even North American production. Instead, they will be motivated to source parts, especially electronics, and assemble vehicles where it’s most practical or economical. Giant supplier Continental AG has invested more than $5 billion in the United States over the past five years, but that trend is unlikely to continue if manufacturing costs rise because of NAFTA disruption, said Ian Musselman, Continental's director of government affairs. He pointed to the Trump administration's demand for eliminating the tariff shift rule, which eases tariff treatment for some parts from outside the region, such as electronics from Asia that are integrated into larger North American-made components. "If you end up with a renegotiation without tariff shift, for us, you might as well abandon the entire agreement," he said. The Trump administration's negotiating stance last week made clear that it's not afraid of venturing across the red lines set down by Mexico, Canada and the auto industry. U.S. negotiators proposed tightening the agreement's rules of origin — to 85 per cent regional content to avoid duties from the current 62.5 per cent — and adding a requirement for 50 per cent U.S. content. Mexico and Canada say they can't accept those conditions. Automakers probably couldn't live by them either. The American Automotive Policy Council, which represents the Detroit 3, says U.S. content has held steady at around 30 per cent. Companies are likely to decide that higher costs to comply with stricter NAFTA rules aren't worth the trouble. Automakers, for example, could opt to pay the low 2.5 per cent duty on finished passenger vehicles from Mexico under most-favored nation status, though they would take a big hit on imported pickups, which get slapped with a 25 per cent duty. Manufacturers have argued, mostly in vain, that NAFTA in its current form keeps the U.S. economy competitive and needs no more than a few tweaks to deliver economic benefits more evenly across the bloc. It provides what automakers need most: operating scale and efficiency, global competitiveness and duty-free trade. Losing those benefits amounts to a $10 billion tax on the auto industry in North America, Charles Uthus, the American Automotive Policy Council's vice president for international policy, said during a panel discussion in Washington last week. Without it, manufacturers would have little reason to invest in the region. German automakers can buy low-cost parts from Poland, Romania or Slovenia. Japanese automakers would use more parts from Thailand, India or China. And North American automakers could follow suit, said Kristin Dziczek, director of industry, labour and economics group at the Center for Automotive Research. "Every major production region has a Mexico," Dziczek said. "If North American automakers don't have a Mexico, they will use someone else's." Suppliers that do move factories from Mexico to the United States are likely to use more automation to save money. Robot suppliers such as Fanuc Corp. and ABB Robotics are marketing relatively inexpensive "collabourative" robots — starting at $20,000 or so — that can operate alongside human workers without a metal cage or plastic shield. Even in a post-NAFTA world, "it will be very rare to see rows of workers assembling things in U.S. factories," Daron Gifford, a partner at the suburban Detroit consulting firm Plante Moran, told Automotive News in January. It's a slightly different story for factories that produce capital-intensive parts such as stamped components, axles or tires. Because machinery and tooling outweigh labour costs, these suppliers can profitably operate in the United States. Likewise, suppliers of hard-to-ship components such as seats, instrument panels and door panels typically set up just a few miles from U.S. assembly plants. But new sourcing patterns will force suppliers to price their goods accordingly, and that could ultimately hurt the blue-collar workers Trump says he wants to rescue from outsourcing to Mexico and other low-wage countries. To keep cars affordable, automakers could strip out some content, costing jobs at domestic suppliers. Meanwhile, U.S. automakers would get hurt on the export side because, in the absence of a superseding free-trade deal, international trade rules allow Mexico 20 per cent tariffs on auto and truck imports, and 6.1 per cent for Canada. The U.S. exports about 1 million vehicles a year to its neighbours. Mexico could yet emerge a winner because it has free-trade agreements with many more countries and has an advantage as an export base. Officials there were already laying the groundwork for life without NAFTA, although they held out hope for a deal that would benefit all three nations, even if it didn't satisfy Trump. They took solace in the fact that North American trade would still be governed by World Trade Organization rules that would keep tariffs low for a broad swath of exports to the United States. "Mexico is much bigger than the North American Free Trade Agreement and we should be prepared for the distinct scenarios that could come from this negotiation," Foreign Minister Luis Videgaray said before Mexican senators last week. Some Mexican senators seemed to relish the opportunity to exit NAFTA and push back on Trump for his attacks on Mexico, particularly against immigrants and for his proposed border wall. Dolores Padierna, who supports leftist presidential candidate Andres Manuel Lopez Obrador, said Mexico needs to be prepared for "the coming crisis" in the wake of a rupture with the United States. "Trump's objective is to marginalize Mexico," she said during last week's testimony by cabinet officials. "He has always expressed his racism, his xenophobia towards our nation. He wants a North America only for white people who speak English." David Sedgwick and Laurence Iliff contributed to this report.